Streak-Free Windows, Mirrors, and More! Are your windows grimy and filthy? Save yourself time and energy when you partner with Spotless Window Cleaning. A full-service window cleaning company, we are here to take the hassle of window cleaning off your hands! Our professional window cleaners serve clients in Tequesta, FL and the surrounding areas. Under our capable hands, your windows will be left spotless and free of streaks! We accept cash and check payments. We are a licensed, insured, and locally owned window cleaning company. We are staffed by skilled and experienced window cleaners. We deliver unparalleled window cleaning services. We guarantee your 100% satisfaction every time. We have been in operation since 1978. We offer free quotes upon request. 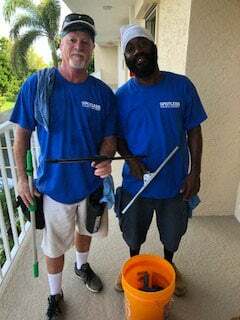 At Spotless Window Cleaning, our goal is simple: to provide our clients with sterling window cleaning services at the most competitive rates possible. Our team uses only the best cleaning products and tools to make sure you are presented with positive, impressive results. Get in touch with us today to learn more about our window cleaning company and how we can be of help to you.